Description: Arcs of lightning would be seen jumping off Solomon's body and clothing originating from the axe itself,when something conductive connects to either the axe or Solomon himself this will deal B-Tier shock damage on anything connected to that conductive object or person for each additional 5 magoi given this can extend off off Solomon into a sphere around him by 5 meters. Where is the defensive aspect? If it is offensive/defensive some of the power should be split to block attacks. You also have a supplementary effect which would further require the ability power to be split. [b]Djinn:[/b] What Djinn is this ability for? 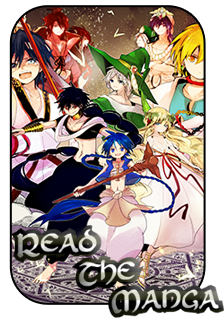 [b]Theme:[/b] What is the djinn's magic? That said, I'm not gonna let you have an omni-directional lightning barrier that extends off of your body if it isn't an A-their ability. So the type of scaling you wanted needs to be re-thinked. Requirements/Drawbacks: Must be holding Axe, can also damage allies around him. Draw back is even if a ally touches him he can not stop it. Scaling: Each additional 5 magoi given this can extend off off Solomon into a sphere around him by 5 meters. Arcs of lightning would be seen jumping off Solomon's body and clothing originating from the axe itself,when something conductive connects to either the axe or Solomon himself this will deal A-Tier shock damage on anything connected to that conductive object or person. Corrected in new template also made A-tier as requested not sure if you wanted me to leave it as B-tier damage however if you did I will quickly switch it back. [b]Requirements/Drawbacks:[/b] Must be holding Axe, can also damage allies around him. Draw back is even if a ally touches him he can not stop it. [b]Scaling:[/b] Each additional 5 magoi given this can extend off off Solomon into a sphere around him by 5 meters.